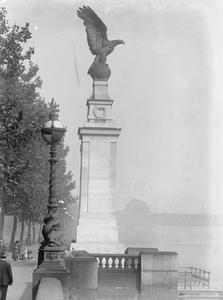 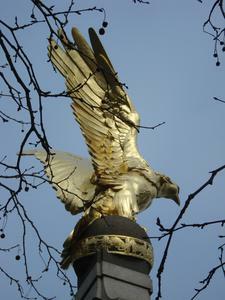 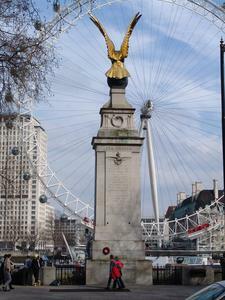 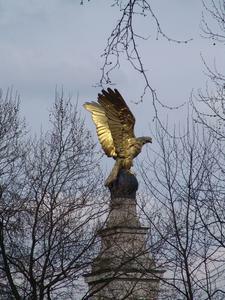 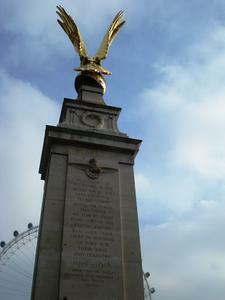 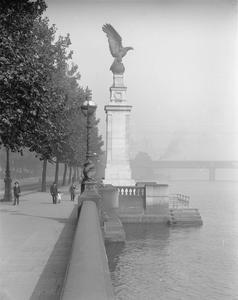 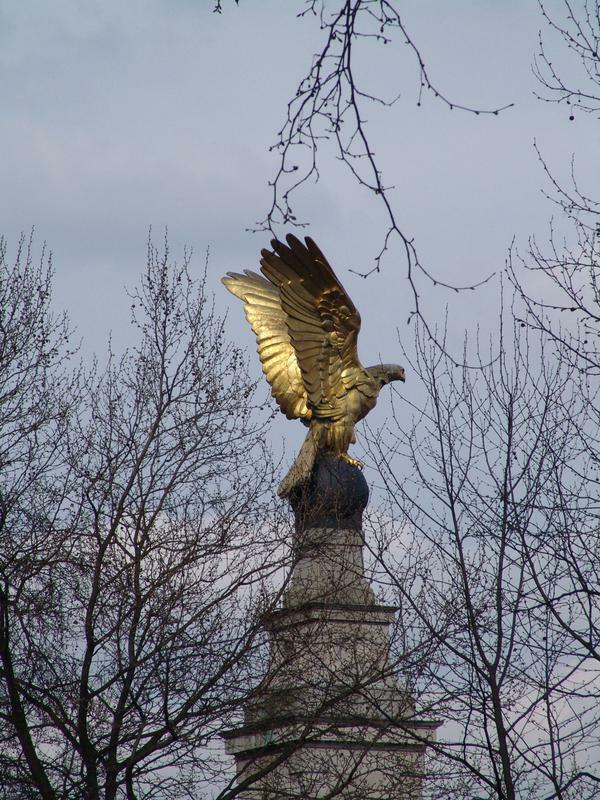 A stone column surmounted by a large globe on which stands a gilt eagle facing towards the Thames, wings upstretched. 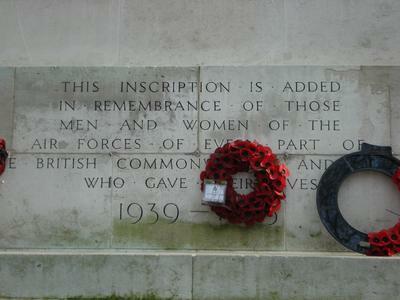 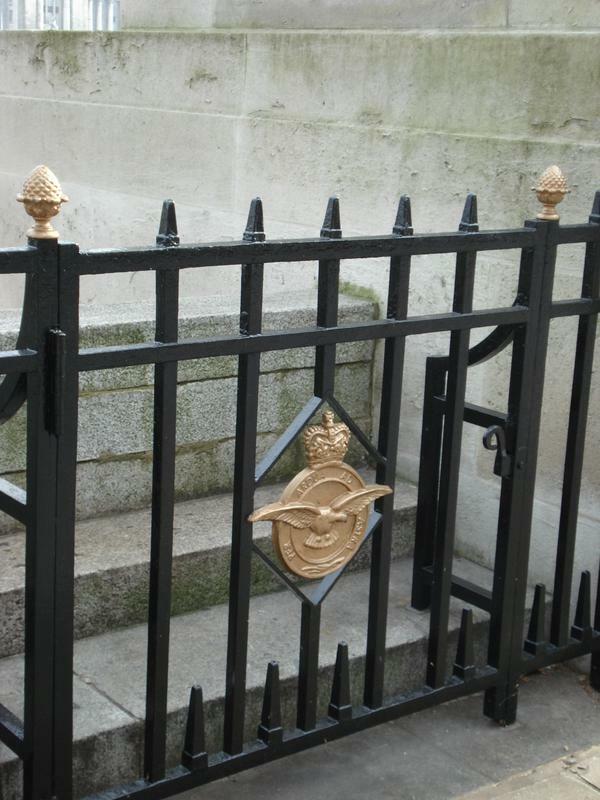 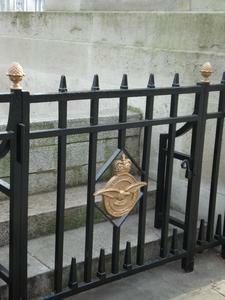 2011: refurbished 1946: WW2 inscriptions added. 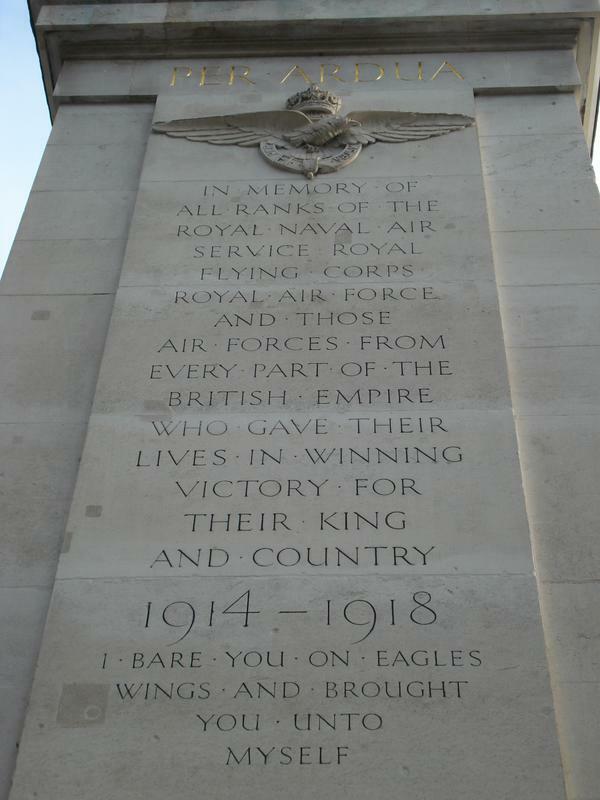 Purpose: The Royal Air Force Memorial Fund was established in October 1919 to commemorate the work of the Flying Services during WW1 by creating an organization which would be of lasting benefit to personnel of the RAF, the WRAF and their dependants.